Middle Atlantic LBP-1R Horizontal Lacer Bar - Round Rod 19"
Use the LBP-1R round lacer when a small profile is required and for lacing small horizontal cable runs. 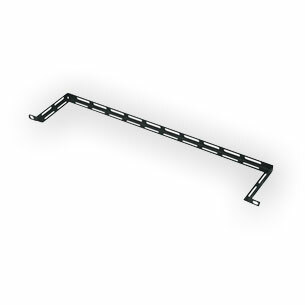 Middle Atlantic LBP-1S Horizontal Lacer Bar - Rectangular Bar 19"
Use the LBP-1S 3/16" thick aluminum lacer bar when lacing cable vertically or horizontally. Aluminum construction provides the ability to drill holes to attach tie saddles, mount electrical boxes, etc. 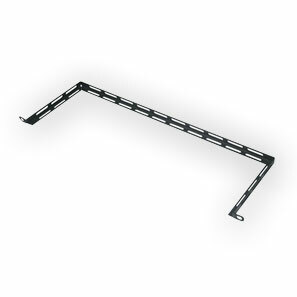 This lacer bar can also be used to support the rear of equipment. 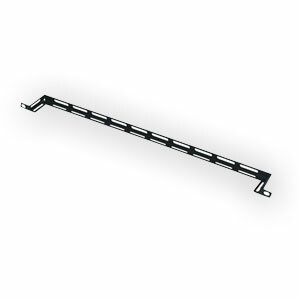 Middle Atlantic LBP-2A Horizontal Lacer Bar - "L" Bar 2" Offset 19"
Middle Atlantic LBP-4A Horizontal Lacer Bar - "L" Bar 4" Offset 19"
Product is as specified and functions well in racks for horizontal cable management. Sturdy, good quality construction. 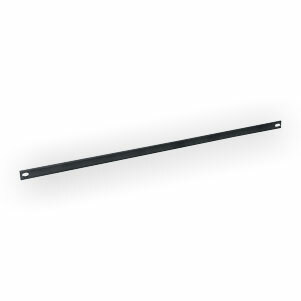 Perfect for fiber or coax cable installations. 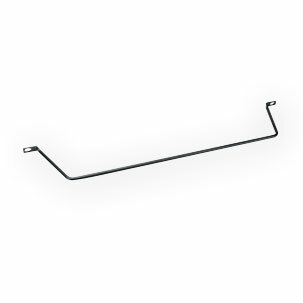 Middle Atlantic LBP-6A Horizontal Lacer Bar - "L" Bar 6" Offset 19"